Advertising is an important aspect of the success of a product. Many companies go bankrupt just because they either don’t market their product or are not marketing properly. If you are from a company with products related to social media, then you must reach out to the people who are using that social media for business. For example, if you offer a social media product, then your potential customers visit marketing websites and so, you should target such websites and blogs in order to reach those customers. If these can be done wisely, a successful outcome is certain. There are many platforms, which connect such companies to bloggers and webmasters through different means. Recently, I have come across a platform named Get Reviewed, which connects the advertisers to bloggers through sponsored reviews. GetReviewed is a platform through which bloggers can monetize their blog by way of a sponsored review post, and advertisers can connect with potential customers by getting their products and services reviewed by the influencers. Irrespective of whether you are an advertiser or a blogger, you should join GetReviewed for maximum benefits. How is GetReviewed better than other networks? GetReviewed only approves blogs with a high domain authority and it adds value to the user. • All the applications about blogs are manually approved. • It also provides security to advertisers by holding money in bloggers’ account for some period. • The user interface is neat and clean. • It is free to join and the advertising charge is very affordable. • Excellent support is provided to both advertisers and publishers. GetReviewed is a newly launched blog advertising network offering a world of exposure to products and brands across the globe. It focuses on quality rather than quantity and as such, only approves of blogs of the highest quality. GetReviewed only selects high-quality blogs written to provide the true review of a product, in turn, providing the required information to users. This is possible through a constant review of the system to ensure that there is a seamless delivery of. 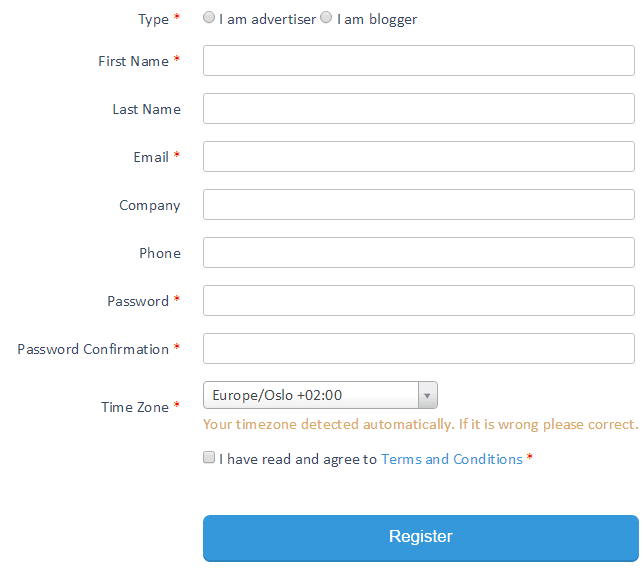 As an advertiser, you will have the opportunity to select bloggers from a list of bloggers. You can filter the search results based on different criteria like niche, visitors, authority etc. In addition, the GetReviewed team will ensure that all sponsored blog posts are highlighted to the subscriber. GetReviewed is inexpensive as you are able to create as many orders and campaigns as you need for just $9.99 per month. Bloggers can monetize their blog with the help of the GetReviewed platform where they will receive paid posts from a large number of advertisers. You can earn substantial cash by writing genuine reviews (in a blog format) about products of advertisers. All you have to do is just signup as a blogger, add your blog and once approved, start earning money. Once an advertiser buys a review post at your blog, you will have to deliver it within 3 days, else, it will expire and the money will be refunded to the advertiser. • The blog should have decent traffic. • Your blog should not be hosted on a free hosting platform like blogger, Tumblr etc. • Advertisers choose blogs relevant to their products or services. For instance, if you have an interior designing blog, then most likely, advertisers will choose you to write reviews about their Interior designing service. • Should be updated regularly. • Should have good domain authority. Bloggers will be paid for the approved post by the advertiser after 14 days via PayPal. GetReviewed charges 5% on all transactions. Advertisers have to make a monthly subscription, which is $9.99 per month. Joining GetReviewed is free for both advertisers and bloggers. Just signup and fill the required details as shown in the screenshot below, and submit. Now you will receive an email asking you to verify your account. Once that is done, you would be able to login to the dashboard. If you have signed up as a blogger, you will need to add your blog. You can do so by following the link on your dashboard and you will get a form asking for the details of your blog. You can add multiple blogs as well. Fill the required details as requested in the above form and select the categories where your blog falls. 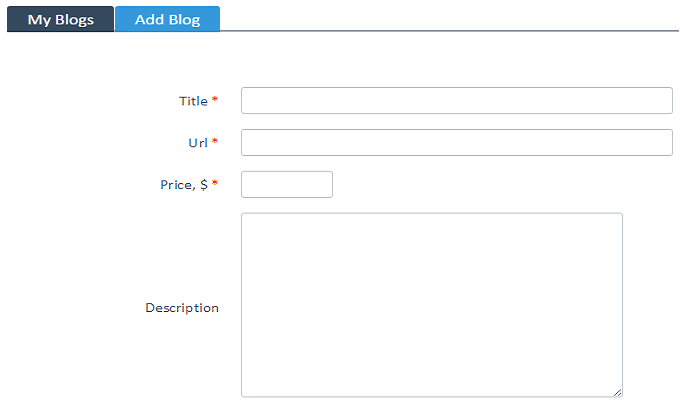 You can select a maximum of six categories for your blog to be listed. Once all done, submit your blog and it will be shown in the “Pending” status until the time it is approved/rejected by the GetReviewed team. Also, if you are an advertiser, you can assess bloggers and start working. GetReviewed is one of the best places to get in touch with millions of potential customers through product reviews at an affordable rate and scaling the business. If you are the founder of any company or in the marketing sector, then you should definitely check their service. Bloggers can earn some decent money by reviewing the products of their niche. This will help them to earn money as well as provide some value to the readers. If you liked this GetReviewed Review, please share with your fellow bloggers so that they can also monetize and earn decent money.